Teach your vision with apps, books, and videos that bring learning to life. Chromebooks and tablets come with support, management, and built-in access to G Suite and educational content. Devices start at $259, with management and support included for a lower total cost of ownership. 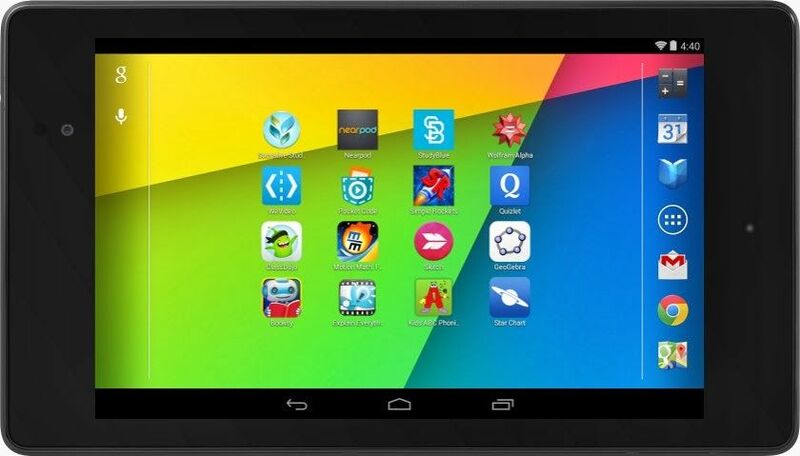 Portable and powerful enough to open up new educational possibilities. 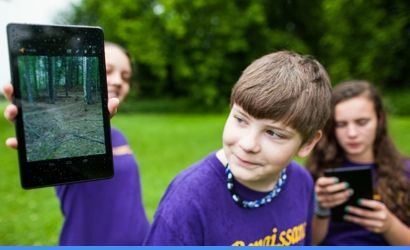 Students can run science experiements with built-in sensors, make movies with the HD camera, dictate notes, listen to stories, and much more. With battery life up to 11 hours, classes won’t have to stop to recharge. Even when tablets are shared between classes, each student gets a completely personalized learning experience, including access to his or her own classwork, apps, books, and videos. 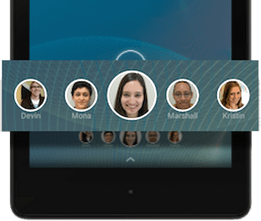 Set up a whole classroom of tablets in minutes simply by tapping them together. School settings and students accounts are added to the devices automatically. From there it’s easy to manage network access, user privileges, and more from a central admin console. 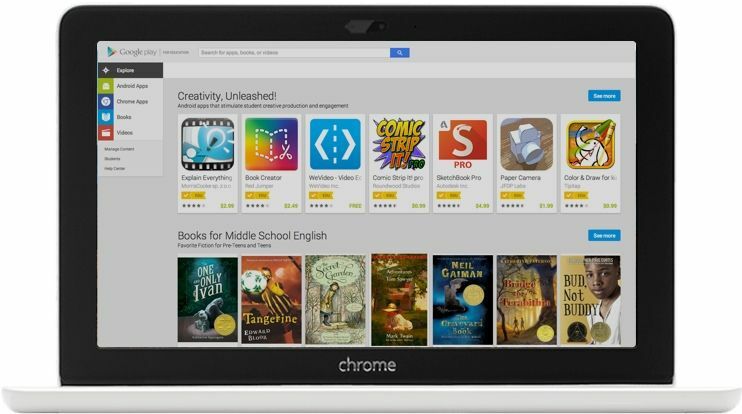 Google Play for Education has thousands of apps, books, and videos for your Chromebooks and Android tablets. Find just the right content for any lesson from thousands of apps, books, and videos vetted by educators. Send content to an individual student, the whole classroom, or the entire school with just a couple of clicks. 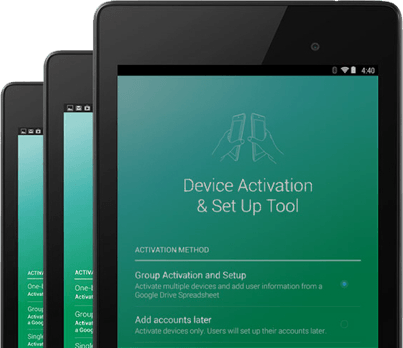 Uninstall and reassign apps remotely, or buy new content using a purchase order. 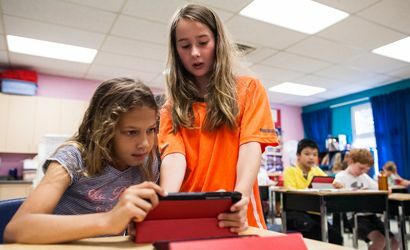 It’s easy to find just the right app for any lesson as you browse thousands of Android and Chrome apps approved for the classroom by other teachers. Browse by grade, subject, Common Core standard, and more. Instead of buying classroom sets of books that can sit unused for years at a time, rent the books your students are interested in now, at an affordable price. 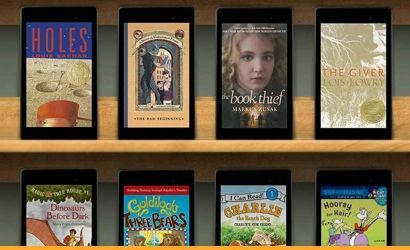 Students can start a book at school, and keep reading at home on any device. 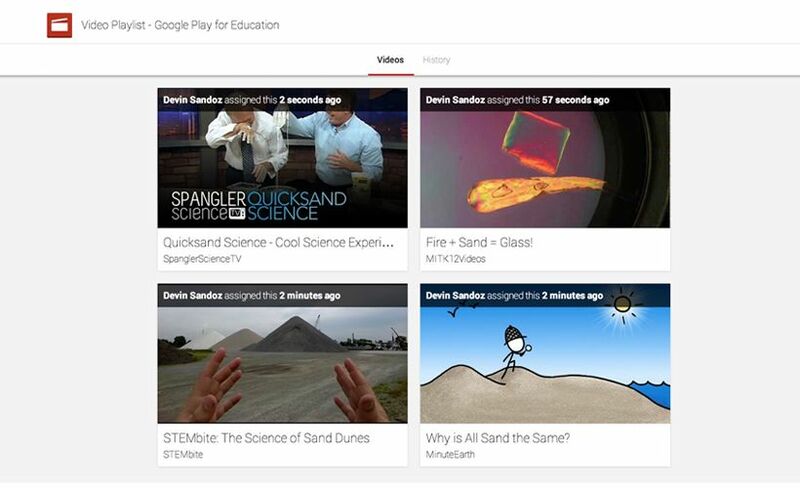 Share your choice of educator-approved YouTube videos, and each student can quickly see just the videos assigned on a dedicated video playlist.